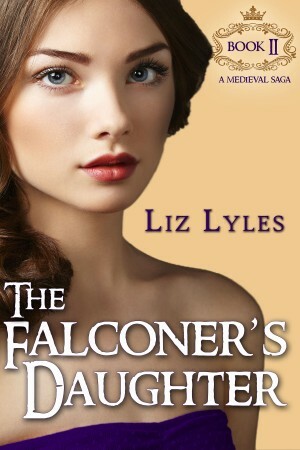 When young Lady Anne Macleod runs off with her true love, the handsome young falconer, Kirk Buchanan, she inadvertently sets off a chain of events that turns her young daughter, Cordaella, into a pawn between wealthy lords locked in a game of power, wealth, and greed. At age nine, Cordaella is forcibly taken from her Highland home, and given to her uncle. Once there, Codaella learns the truth. She is the heiress to the Macleod fortune, to the dismay of many of her family members. Will Cordaella continue to act as a pawn in her family’s games or will she seize her own destiny? Cordaella rested the long handled spoon against the edge of the pot, standing carefully, unable to fully repress the sigh. The day had been nothing but interruptions, countless last minute tasks before the king’s arrival. The cauldron hissed, drawing her attention again, steam rising from the bubbling surface. She knocked the burning wood flat, scattering the hot logs deeper into the hearth. Already the day felt long, and nothing had been accomplished. “What is it?” Her impatient tone wasn’t lost on the little girl. Cordaella spotted him immediately as she emerged from the heat of the kitchen. Slowly she wiped off her damp hands, her fingers trembling in the soft kitchen cloth. For an endless moment she hesitated in the doorway, waiting, holding her breath. A day’s growth of beard darkened his face, his boots muddy, his leggings dusty. He was still tall, still the same armor chest plate that barely reached his waist, tanned blackened leather enforced with metal and silver. “Hello.” She couldn’t smile, her lips numb, her face stiff despite the thunder in her chest. “M’lady.” Bran O’Brien bowed, his sword brushing his thigh. “The king and his retinue are slowed by the mud southeast of here. They may not arrive until tomorrow.” His tone was formal. He didn’t say that he had changed horses twice to make it in six hours from Jersey Castle. “Won’t you please let me fetch some wine for you? A cool drink might be welcome.” She could see the color rise in his face, his eyes brilliant blue against the flushed cheeks. She twisted the kitchen cloth between her hands. “How so, my lord?” Did she disappoint him then? “Yes, my lord. Last autumn.” Her heart beat harder, a prickling sensation in her stomach. She was nervous, and afraid. The earl wouldn’t like her speaking privately with the knight. All the rules of decorum. “Yes, I remember.” His gaze roved over the hall’s heavy furniture, the polished floor, the walls hung with new tapestries. “I have somehow disappointed you, my lord. I am sorry.” She could scarcely hold her ground, her face scarlet. She wished she was dressed better, that she had fixed her hair with a prettier headdress. She could feel the dampness beneath her arms and the bodice of her gray houppelande. The sleeves of her gown had been rolled back three times to keep the silk cording out of the broth. Abruptly he walked away, towards the door, his broad back hidden by the weight of leather and silver, his sword clanking. His rejection hurt her and unconsciously she pressed one hand against her chest, as if to soothe her heart. She didn’t know what to say so she said nothing. “Kind? If there is anything I’m not, it is kind.” He said the last word as if it was foreign, the vowel rolling on his tongue. She wanted to see him, she wanted to speak with him again. How could she say no? “How will I meet you? And when?” She began backing up, hurrying towards the kitchen. Did you know that The Falconer’s Daughter – Book 2 and many titles are available digitally from Tule's own bookstore? Check it out!